Purchase a roll of vinyl for all your repairs and needs! Choose from a great selection of colors! Knitted PVC is available in 7oz, 12oz, & 18oz(in stock) but we can order any size. The Marble material is only available in 18oz. Knitted Plato PVC Fabric is lead free, phthalate free and fire retardant in all sizes. Knitted PVC is manufactured by Plato and we are the only distributors of Plato material in the US. 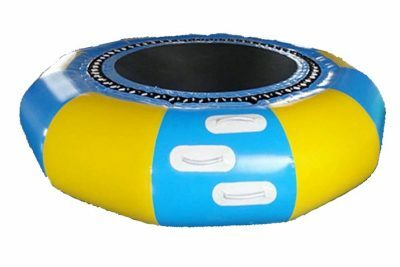 Bounce Time Inflatables, is an international supplier in the textile industry with over 10 years of experience. Specializing in PVC vinyl, we work closely with many customers in industries including but not limited to agricultural, trucking, inflatables, athletic, and advertising. We import from the most prominent manufacturers in the world at volumes that give us great buying power to which we pass on to our customers. We hold not only the largest inventory of phthalate free 18 oz Vinyl PVC fabric on the market, but also a color spectrum that will never hold you back. Our vinyl fabric is highly durable, water proof, mildew, chemical, and UV resistant. It will not tear, stretch, or rot and it contains a material weaving method that entails a higher denier in warp and extra strength in weft. 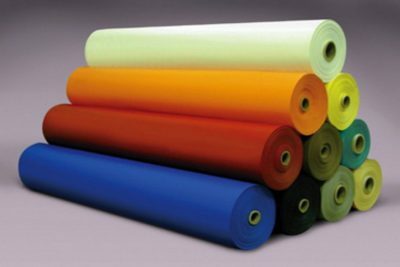 Above you can select between our two types Korean vinyl PVC fabric or Chinese vinyl PVC fabric lines and see the different pricing and colors.Below you can see our Baffel and Slippery vinyl PVC fabrics. Call for further information on 18 oz Vinyl PVC Fabric. We specialize in vinyl coated polyester fabrics. Our Knitted vinyl comes in different weights in a large variety of colors. We carry 7oz Superflex, 12oz and 18oz in stock. Specializing in PVC Vinyl gives us the ability to carry a large volume in each color. All of our vinyl is highly durable and resistant, fire retardant, and CPSIA compliant, meeting all of the rquirements in many industries. 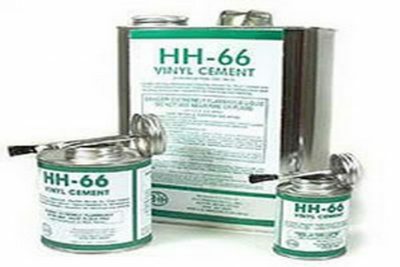 All of our vinyl is lead free, phthalate free, and fire retardant meeting all of the State and Federal requirements in many different industries. Making sure our customers are satisfied and within regulations is of the upmost importance to our company. Our goal is to help our customers by providing the best quality products available with competitive pricing and superior customer service. We listen to our customers and strive to accommodate their needs and special requests. 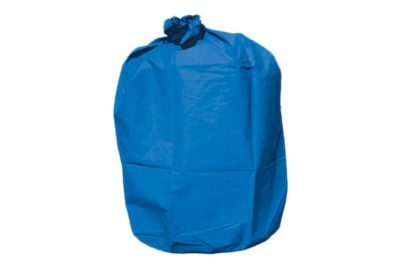 We stock high volumes of a large variety of colors and carry many other products including mesh, thread, webbing, netting, hook and loop, hardware, and blowers. 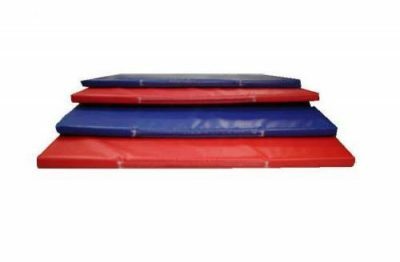 As the sole distributor of Plato Chemical products for the inflatable industry in the U.S., we carry different weights of the material in a large variety of colors. Our inventory includes 7oz Superflex, 12oz and 18oz vinyl. 1) Phthalate Free: California Bill 1108 Compliant meeting less than 0.01 phthalate content. **We believe this information is the best currently available on the subject. We make no guarantee of results and assume no obligation or liability in connection with this information. It is offered as a possible helpful suggestion in any experimentation you may care to undertake along these lines. PVC Vinyl Material PVC, which is also known as Patent Vinyl Cloth is a trendy new fabric on the market. This type of fabric is appealing to many, because of its stretchy, soft and glossy finish. It is used for clothing as well as accessories for home décor. The PVC fabric features a slick Polyurethane surface on the right side and a touchable comfortable stretch knit backing lining on the wrong side. The knit backing comes in polyester or Lycra and is usually black to match dark colors and white to coordinate with brighter and lighter colors. A PVC fabric with polyester knit backing is classified as a 2-way-stretch PVC. This type of PVC fabric has a 12-15% stretch which expands along the grain and flows vertically with respect to the edge of the fabric. The PVC fabric with Lycra Knit backing is classified as a 4-way-stretch PVC, which stretches 12-15% along and across the grain of the fabric. It is important to pick the correct PVC fabric to suit the different patterns being constructed. The 2- way fabric is more suitable for constructing garments such as blazers and raincoats. Swim and dancewear patterns are usually constructed with a 4-way PVC fabric. As a rule of thumb in apparel construction, garments that feature a flared hem are better suited for 2-way PVC, while the 4-way PVC is perfect for sleek or slinky outfits. It is important that pattern sizes for slinky outfits be a size bigger than the regular size, to avoid unattractive wrinkles in the clothing when worn. Fashionable accessories like purses and backpacks that require stiffer material for construction are usually made with 2-way PVC and items such as gloves that require softer material are created with 4-way PVC. It is also ideal to use 2-way PVC for home decorations by arranging the stretch horizontally to keep the hemline of the fabric from drooping over time. Other factors need to be considered when picking a pattern for a PVC fabric. These include the stretch specification, pressing guidelines and the garment design. The stretch specification can be found under suggested fabrics on the back of the pattern. It will usually show the minimum stretch required for proper sizing of the fabric. If the specification is not listed on the back of the pattern, then look for the stretch specification on the side of the envelope. The stretch requirement can be determined by stretching the fabric fully from the beginning arrow to the end arrow and beyond. You can choose to experiment with a larger pattern if the stretch does not reach the required specification. Vinyl fabrics cannot be pressed because too much heat will damage the fabric surface and pressing with low heat can destroy the fabric by loosening the bond between the knit backing and the surface of the fabric. It is important to study the guidelines for a particular pattern to determine if the end result will flow nicely without needing to press it. It is not advisable to choose designs like creased pants and pleated skirts which cannot be constructed without pressing the fabric. It may be necessary to adjust your pattern a bit when using leather-like fabrics like vinyl. If you are designing your own garment pattern or using one that you are not familiar with, it may be necessary to try it out by making a mock-up version of the pattern out of cheap material, before constructing with PVC. Utilizing mock-up for PVC design is essential since the PVC fabric cannot be pinned together without damaging the polyurethane surface. It is important to follow the grain lines in the fabric to make certain the garment stretches in the right areas. Commercial type patterns use arrows to indicate grain lines. Position pattern pieces parallel to the hem of the fabric to determine the grain line. Following the grain line of the fabric is particularly important for curtains, slipovers and other home décor patterns to prevent sagging along the vertical hang. It is recommended that designers allow stretchy fabrics to rest on the cutting surface for about 24 hours before cutting out patterns. Pattern pieces need to be held in place with fabric weights and tracing need to be done with tailor’s chalk, invisible fabric pens or water erasable fabric pens. Tracing tools to avoid using include, tracing wheels, thread tracing as well as tailor tacks. These will leave visible holes in the finished product. It is recommended that fabric cutting be done with sharp scissors while stopping between cuts to allow the fabric to settle on the cutting surface before continuing. 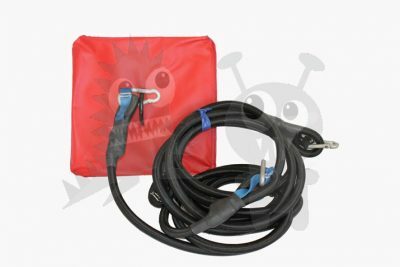 Use a double face basting tape instead of pinholes as these leave permanent punctures in PVC fabrics. Basting tape helps secure the fabric and prevents it from stretching or curling during sewing. It sticks easily and can be cleanly removed by peeling off or cutting after stitching when an allowance of the seam is graded. If pinning cannot be avoided, using extra-fine dressmaker pins within the seam allowance is recommended. It is important to use the appropriate needles and thread when working with PVC fabrics. Ballpoint needles must be avoided because they make unattractive holes in the polyurethane. Instead, use your machine by choosing a size 11 for constructing seams and topstitching. Leather needles are a terrific choice for basting zippers. They are heavy needles with razor tips which easily cut through leather as well as leather-like materials that are difficult to pierce with normal needles. Threads used in sewing PVC fabrics must stretch since PVC fabric stretches. Using 100 percent polyester thread is best for normal seam construction. You can also use all-purpose thread with 60 percent polyester, which can be found in most stores. Avoid using cotton thread. Though it is stronger than Polyester thread, it does not stretch and may shrink when washed, leaving the seams crumpled in fabrics that are not cotton. The rubbery texture of PVC fabrics poses some difficulty when sewing. The fabric sticks to presser feet of the machine and makes guiding the fabric through the sewing machine difficult. The following techniques can be employed to prevent this from happening. Technique 1: Applying a water-soluble stabilizer before sewing will help prevent stickiness during sewing. Water-soluble stabilizers have light weight interfacing and come in rolls as well as sheets. Packaging instructions will recommend using a hot dry iron in applying the stabilizer, but this is not suitable for PVC fabrics. Instead, apply a damp sponge to the vinyl side of the fabric and use your fingers to press 3-inch wide stabilizer strips to the seam line then let it air-dry before sewing. This will allow the fabric to smoothly slide over the metal parts of the machine. Simply wipe the stabilizer off with a wet sponge or wash fabric in cold water. This technique is better suited for sewing requiring a piping or cording foot. Technique 2: This involves placing the PVC fabric on top of a tear-away stabilizer and utilizing a Teflon presser foot for stitching. When working with narrow seam allowances, place a less flexible material beneath the fabric to prevent stretching through the sewing machine’s throat plate. Gently tear away the stabilizer and be careful not to stretch the seam. 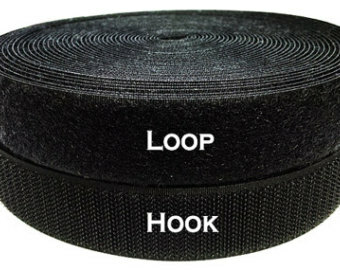 This technique is appropriate for 4-way stretch PVC fabric to prevent it from curling on the edges. For both techniques it is necessary to grip the fabric in front and behind the machine’s presser foot pulling it taught while sliding it over the feed dogs. Directional stitching is advisable for stretchy fabrics to prevent collars skirt hems and sleeves from hanging unevenly. Directional stitching is done by sewing the seam from the widest part to the narrow end of the pattern piece. Use a medium length straight stitch for a 2-way fabric and a zigzag stitch on the seam line for a 4-way stretch fabric. The majority of designers do not line their vinyl clothing. But you can choose to widen the pattern facings or use a stretch lining. Ensure that hemming on the stretch knit is done after hanging the item for 24 hours to achieve an even hem. It is important to use under-stitching on leather-like fabrics that cannot be pressed to keep the facings from showing on the outside. Topstitching is a great way to flatten allowances on the seam without the need for pressing. Edge stitching is a type of topstitching that can be used to draw attention away from the stiches. PVC garments must be hand washed or put on a gentle cycle with cold water when using the washing machine. Garment should be hung to dry or laid flat to dry. Other PVC accessories can be cleaned by wiping with a wet sponge. Keeping your PVC garment from sharp abrasive objects will help to keep them looking fresh and new.